Like city streets, housing can be considered to be the framework for life. Just as successful cities have great streets, good housing can provide opportunities and influence the way we live, work and enjoy our lives. Quality and choice are what set both a city and housing apart. The desirability of cities is re-emerging. Through informed analysis, many progressive city councils have a clear understanding of what makes their city work for its people. 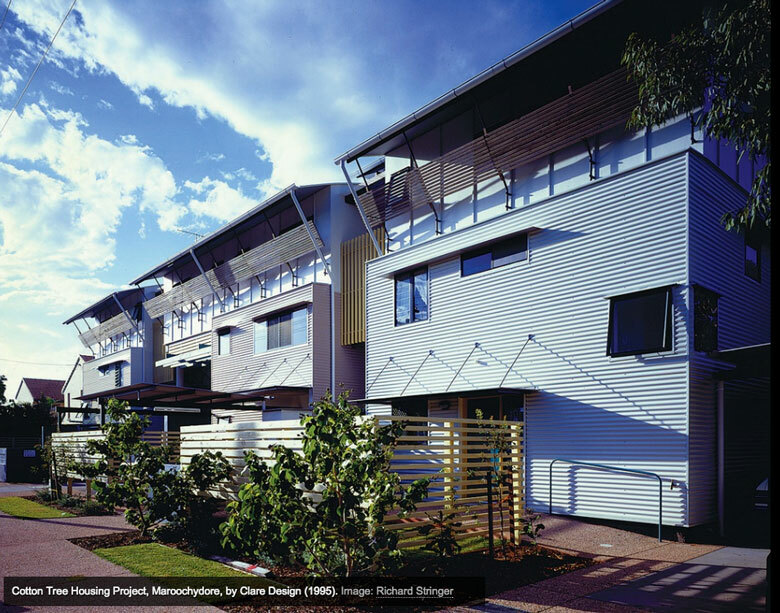 As the late planner and landscape architect Ian McHarg said, if you prioritize issues by importance, it becomes very easy to make decisions.1 The ingredients of a good city – connectivity, opportunity (choice), environment, economy and culture – can also be, at a smaller scale, the ingredients of good housing. Since 2002, multi-residential development proposals in New South Wales have been assessed under the State Environment Planning Policy no. 65 (SEPP 65), which measures quality in relation to urban response, environment, landscape, social contribution, amenity and aesthetics. This policy has arguably been the biggest step forward for improvements in Australia’s housing stock and, in a relatively short time (for the construction world), has led to measurably better outcomes. Its precedents include the 1992 Australian Model Code for Residential Development (AMCORD) and the Residential Flat Design Code (RFDC), though unlike these earlier codes, SEPP 65 is embodied in state policy and assessed through independent design review panels. Panel reports are presented as advice to the relevant approval authority. SEPP 65 review panels are able to assess the functional aspects of each brief, site and context and provide independent recommendations to council beyond the overall planning requirements, which often cannot respond in particular detail to the constraints and opportunities of each site. It also encourages meaningful interaction between architects, landscape architects, urban designers and planners and approval authorities. Research, feedback and anecdotal evidence all point to the policy’s success. Harry Triguboff, the founder and managing director of residential developer Meriton and the sixth richest person in Australia according to Business Review Weekly’s 2013 “Rich 200” list, has been noted to say that Meriton has “done well” since the introduction of SEPP 65, with apartments [of better quality] selling better. A survey conducted by the Property Council of Australia seven years after the introduction of SEPP 65 showed that 82 percent of respondents agreed that it had led to improved design, and with relatively minor impact on affordability.2 The dividends from good housing are very broad and, as with city planning, good intent can have positive knock-on effects. Increased opportunity, satisfaction, security and wellbeing all stem from the quality of the built environment. Some have called for an extension to SEPP 65 covering townhouses and other smaller scale housing types to improve housing stock across the board. SEPP 65 has helped to reduce the impact of self-interested, random and uninformed opinions on housing outcomes and has preferenced informed review for the sake of “the greater good.” It has also established a critical distance between the vote-seeking local councillor or small self-interest group and more holistic approaches to urban design. SEPP 65 also opens the door to discussions about aesthetics and the visual contribution each building makes to the city and to people’s lives. SEPP 65 also opens the door to discussions about aesthetics and the visual contribution each building makes to the city and to people’s lives. This is a step forward from previous policies, which either opted for a “hands-off” approach or overplayed contextual requirements and favoured historic references. Architecture and Beauty author Yael Reisner has argued that since the early modernism of the 1930s, architecture has continued to eliminate aesthetic bias: “When the self is removed beauty is avoided, leading to alienating built environments. For this reason we should desire beauty as a motivation for exploring architectural languages that could affect people, a notion to which architecture has been detrimentally resistant.”3 Without restricting creativity, panels can consider the role of the building in the public realm, the need for “signature” or “quiet,” or other aesthetics and their effects on the streetscape. SEPP 65 provides an avenue for robust discussion about aesthetics and their role in the culture and identity of a city or part of a city. A city’s housing mix also encompasses affordable housing and student housing – two typologies that aren’t currently covered by SEPP 65, though its principles could easily be applied. Providing a balance of housing types close to employment and transport options needs to be fostered and monitored through planning controls. 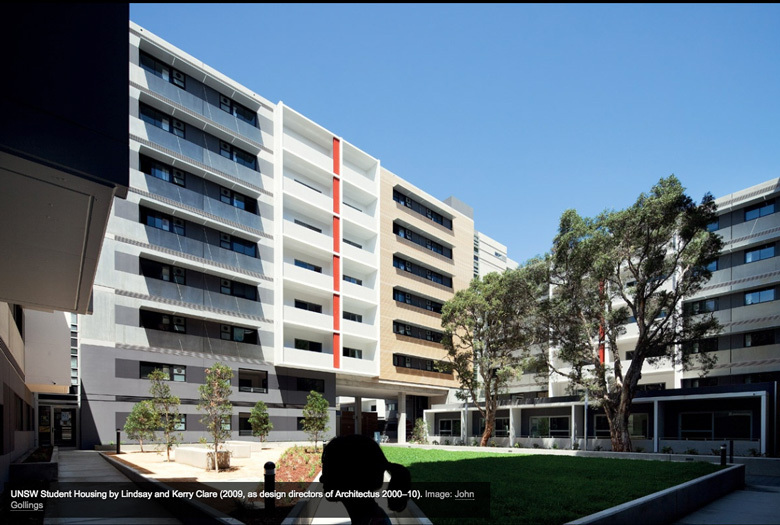 Other housing types such as “two-key” apartments (a larger apartment that can function as two separate living units), “Fonzie flats” (studios above garages) and granny flats cater to a variety of extended family or community living needs that are again becoming common. As house prices rise, people are appreciating the benefits of multi-generational living and, as a result, the instance of families of up to four generations living under one roof is increasing. Meanwhile Defence Housing Australia, one of the largest housing providers in Australia, is looking at better ways to accommodate the changing defence family demographic: to support their interests and their growing families, to provide companionship through community and to balance the need for privacy with the need for connection. The high turnover and posting rate of defence families necessitates systems and homes that facilitate an easy transition to new places and new cities. Another pressing issue that is being discussed through SEPP 65 is the need for greater provision for open space. Deep soil for viable trees (with no basement or other obstruction below the ground) and rainwater filtering will always be important for the environment with regard to air quality and reduction of heat build-up in urban areas. A large tree shading a facade can reduce internal temperatures by up to fifteen degrees. Both transpiration and shading from trees have a marked effect on microclimates and the inclusion of small pockets of deep soil in building developments is just as important as aggregated deep soil areas for improving the environmental performance and amenity of urban areas. Cars and their effects on cities and housing have long been cited as the cause of problems including social isolation, obesity, air and noise pollution and urban decay. The late Melbourne architect Col Bandy often remarked that the car had allowed us to ignore the density that makes a city work. As the quality and vibrancy of inner-city and urban areas are regaining appreciation, the place for the individual private vehicle is being reduced and, in some areas, actively restricted. Carshares, bikeways (with family-friendly and commuter routes), tramways, self-driving cars and electric vehicles – to name a few – will all contribute to better streets, better air quality, noise reduction and increased amenity. Housing may always need to provide some storage for cars but the extent could be greatly reduced and, in some areas, eliminated. Consider how the voids formerly occupied by driveways and on-grade parking might be used in the future – and how less disrupted our public spaces and street frontages would become. The housing being built today could conceivably be occupied for more than one hundred years, which makes flexibility an essential part of their design. Regardless of type, generally the most enduring buildings have a good measure of openness, clear structural spans, good ceiling heights and access to light and ventilation – “offering opportunity rather than giving direction,” to quote Michael Benedikt.5 A good example is the old-school classroom: the generously sized rooms, complete with high ceilings and passive solar design, remain useful and desirable and can easily adapt to new teaching methods. In a similar way, housing should avoid being too prescriptive when different households and different eras will have different demands. Simple planning decisions such as the placement of wet areas, kitchens and doorways can greatly affect how space can be used and should be made with longevity in mind. Houses have many lives. Rather than meeting a designer’s idea of “perfection” (a word derived from the Latin word for “complete”), housing should aspire to facilitation. 1. Ian L. McHarg, Design with Nature (Garden City, NY: Natural History Press, 1969). 4. Jean-Marie Lustiger, Caritas Australia Helder Camara Lecture, Melbourne, 2001. 5. Michael Benedikt, For an Architecture of Reality (New York: Lumen Books, 1987), 52.